A multi-phased redevelopment project at the campus is Bethesda, MD. Work for this project will include landscape and hardscape elements, and site furniture installation at the new parking garage. 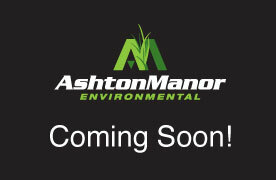 Included with this scope, Ashton Manor Environmental will provide planting, maintenance, and select tree work in areas within the surrounding community as part of the entire development project headed up by Whiting Turner. The project is currently underway, and should be completed by December 2016. Please revisit this page for future updates and info.